Enjoy greenfees and cheaper golf breaks throughout the Golfy Network for 1 year! Show your Golfy card at the welcome desk of the visited establishment and your Yards will be credited on your personal account. Consult your account and the history of your purchases on your My Golfy area on www.golfy.fr or on the Golfy App. Yards are valid 2 years and are lost 3 months after the expiry date of the card (see general terms of sale). What can I do with my Yards? Golfy offers you a variety of gifts - subject to availability of stock - available in exchange for Yards, depending on your balance of Yards and type of card. Log in to your Member area on www.golfy.fr and select the gift you want from among all available. The next Yards decrement is scheduled for 1 September 2020. Only customers who have reached 10,000 Yards and have not ordered gifts since 1 Septembre 2018 will lose the accumulated Yards before this date. If you are unable to play for more than 45 consecutive days, Golfy will refund the unused months of your Golfy card or your unused membership in a Golfy course. 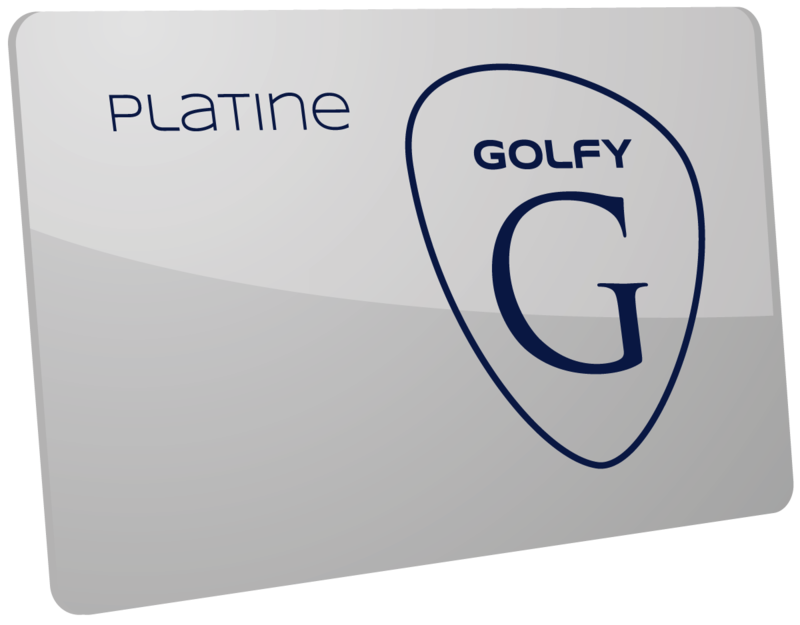 When you start playing again, you will benefit from a Platine card for a period of one year (except Golfy Indigo and Platine club members). Deductible of 45 days. In the event of illness or an injury preventing you from playing golf for more than 90 consecutive days (interruption of subscription taken in advance), Golfy will pay for your refresher course, up to limit of 200 euros. If you make a hole-in-one during an individual competition sponsored by the National Federation and which counts for the ranking or during a Golfy Cup tournament, Golfy will pay your bar tab on the day of the hole-in-one, up to a limit of 200 euros. 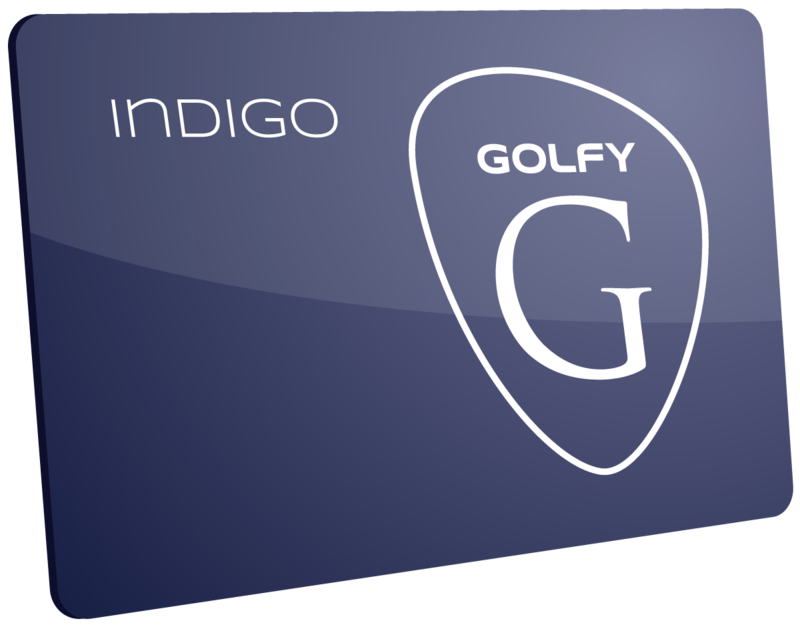 Your Golfy card is now available in your smartphone. Thanks to the geo-tracking function of your App, find all the golf courses and hotels of the Network and Golf break offers. 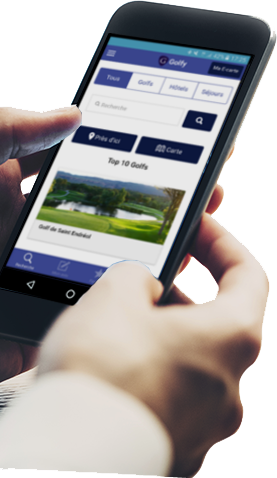 Follow the evolution of your Golfystador status, discover the 160 golf courses of the Network and share your experience with other Golfy members.